I needed to break my cycle of Thrillers and Contemporary Fiction and this collection of poems came at just the right time. 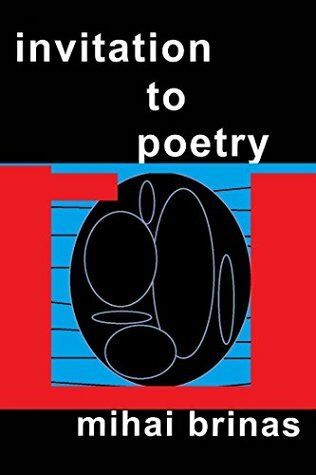 A refreshing change from the usual writing found in literature, these short poems were so compelling and provoked such a strange mix of emotions that I found myself stopping after nearly every poem to fully digest what I had read. Impressive and thought-provoking, this collection of short poems is a celebration of the little things in life and provides the perfect opportunity to step back and reflect on many of the wonders of our universe. Many thanks to the author for providing a free copy in exchange for my honest review. Thank you, Raya, for tagging me! This definitely looks like a fun one! Create a post with your two bookish truths and one bookish lie – but be sure to keep it a secret so your readers can guess! Tag 8 friends to play along. Link back to the original post so Kaleena can see all your secrets! There are less than 20 paperback and hardback books on my bookshelf. My favourite classic novel is The Great Gatsby. I still haven’t read all the books in the Harry Potter series. My favourite classic is not The Great Gatsby, it’s To Kill a Mockingbird. Did you guess the lie? To all those tagged, I’m looking forward to reading your answers! Sometimes we all need a lighthearted and feelgood read and this book came to me at the perfect time. The Lido explores identity, community and friendship through the lives of the two main characters, Rosemary and Kate, who meet in unusual circumstances at a vital time when they are struggling and can learn a lot from each other. Both are dealing with loneliness and nostalgia and their daily morning swims at the lido are just what they need to combat these feelings. However, their interactions away from the pool were even more meaningful as they discuss their past, difficulties they are currently facing and what the Lido means to them. 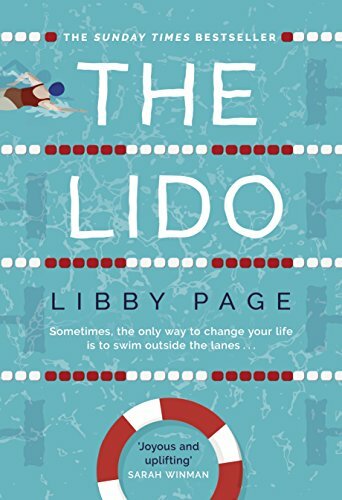 Minor characters are often overlooked in many recently published books in the Contemporary Fiction genre so I feel that I must applaud the author on the wonderful bonds she created between Rosemary, Kate and the other protesters hoping to keep the lido open. We understand what the lido means to the community and why it is so important to them. I was interested in almost every minor character and believe that each backstory added value to the protest and was essential to the story line. The style of writing was very simple and matter-of-fact and the pace was slow at times; both these shortcomings were particular prominent towards the end where the author attempts to find a somewhat sudden and unrealistic solution to keeping the lido open. Despite these shortcomings I still believe that it is the small pleasures that are central to the story and I found myself smiling after almost every chapter, something that doesn’t often happen with similar books of the genre. “In the house of Helios, god of the sun and mightiest of the Titans, a daughter is born. But Circe has neither the look nor the voice of divinity, and is scorned and rejected by her kin. Increasingly isolated, she turns to mortals for companionship, leading her to discover a power forbidden to the gods: witchcraft. There are no words to truly describe just how wonderful this book is but I will try to pull my thoughts together and explain why this book is so special to me. Putting aside the Greek mythology aspect, this story is an accurate reflection of the struggles that many of us face even today in the 21st century. I was pleasantly surprised that the author decided to focus on Circe’s attitude towards her family which runs parallel to the disputes with family members we face in our every day life and the need to often justify our actions or even break free from the negative surroundings, just like Circe is forced to do when she is exiled to a deserted island. Right from the first chapter I began to connect with Circe and supported her in her attempt to escape from the abuse she was subject to at home. Despite the battles she faces and the struggles to live in isolation, her desire to strive for the best for her son’s future with few complaints does not go unnoticed and is a reflection and celebration of many independent women’s lives today. I must admit that I was not too keen on the fantasy or mythology element before I started the book but the storytelling factor is so effortless that it plays little significance to the greatness of this story. If Greek mythology is not your preferred choice of reading, don’t be discouraged after reading the blurb because the author does a brilliant job of introducing all the main characters and linking them to each other so the story is easy to follow without any necessary background knowledge. In fact, I firmly believe that the storytelling is the main reason for the success of this book; the language, eloquent sentences and retelling of all the adventures from Circe’s point of view are the key elements of the magical universe that the author has created, one which I almost didn’t want to leave after finishing the book. Perhaps my review doesn’t do this book justice and you aren’t yet convinced on Circe. 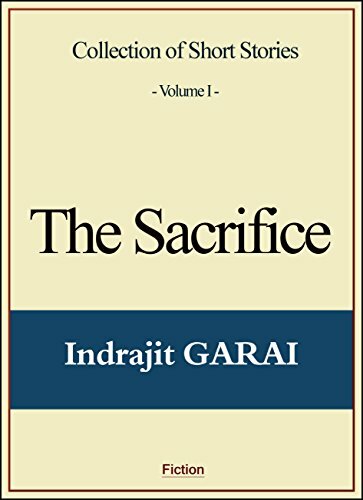 However, I want to assure those of you who have heard about this book and decided to pass on it, whether it’s due to the mythology or the genre, that we can all find an important message linked to our daily lives if we search hard enough. 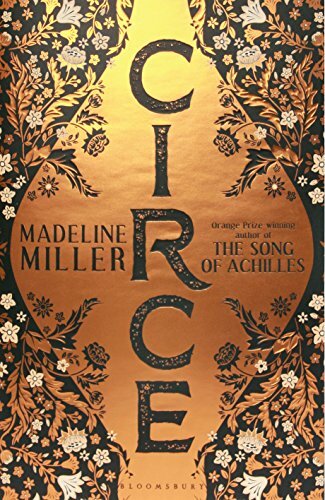 Although the initial story is a retelling of a Greek mythology, the deep-rooted prejudices and thoughts are what make this story so special and simply for this reason, I believe that Circe should be high up on everyone’s list of books to be read. This week I’ve been thinking about my reading tastes and style compared to other friends and bloggers which made me realise that, unlike many others, I tend to dislike rereading books. I decided to share my thoughts with you briefly on why I prefer to only read books that I haven’t read before, which I also believe may be a slightly unpopular opinion but could produce an interesting discussion. My main reason not to reread books, which I think many others can probably relate to, is due to time related constraints. Most of us are already struggling to juggle our social, family and work life while also managing to find time to read so it’s no wonder that we often can’t find the time to return to our most loved books. I often feel guilty when I decide to pick up a book that I have already read instead of finishing off the various tasks I have pending or even starting a new book. Also linked to the first point, the little time that I save for reading is usually spent catching up on my to-be-read list. Between a pile of backlist books waiting to be started and the constant stream of exciting new releases, books that I have already read somehow always tend to fall behind in my reading priorities. Most of us would understandably only go back to books that we have previously enjoyed and want to rediscover, I also fall into this category. However, I cannot imagine visiting any of my favourite books and feeling disappointed that they didn’t live up to my expectations as I reread them for the second time. Even if I did have enough time and a visibly reduced to-be-read list, I still don’t think that I would reread some of my favourite books because I would feel worried that I wouldn’t like them as much. Those are my main reasons for not re-reading books and although I realise that they may feel strange to many in the bookish community, I have come to understand that my reading habits are somewhat peculiar and many others may not understand them. Do you ever reread books and if so why? What are some of your favourite books that you like to revisit? In every corner, every whisper. They just didn’t know it yet. It had been a while since I had last read a dark and gripping psychological thriller before I stumbled upon this book on Netgalley. The synopsis had me intrigued and I was hooked right from the first chapter. The characters were delightfully complex yet the plot seemed so simple that I was expecting the typical psychological thriller with drastic and somewhat far-fetched revelations of the characters’ lives. I was pleasantly surprised that the plot developed in unexpected ways, luring us to believe that Olive had nothing to hide yet swiftly transforming into a much more complicated story. Completely unaware of each other’s struggles, the neighbours at Withered Vale are shocked to find out about Olive’s death but do not appear too troubled when the police focus their search for the perpetrator inside the community. Each chapter focuses on the owners of each house and Olive’s attitude towards them. I particularly enjoyed the back and forth game of figuring out if Olive was within reason to dislike her neighbours based on certain attributes they presented, or if they really did have a solid argument to keep away from her while she was alive. It was captivating and I was constantly wanting to learn more about the background of all the characters, desperate to find out who killed Olive. The final few chapters were especially interesting as more hints were revealed that seriously made me doubt their intentions towards Olive. Unfortunately the final chapter where we understand what happened to Olive hours before her death was slightly disappointing and I felt that after so much speculation the reveal would be more explosive. Nevertheless, it did not distract from the brilliant story line and the intricate puzzle that the author created. I highly recommend this book to all lovers of dark psychological thrillers. 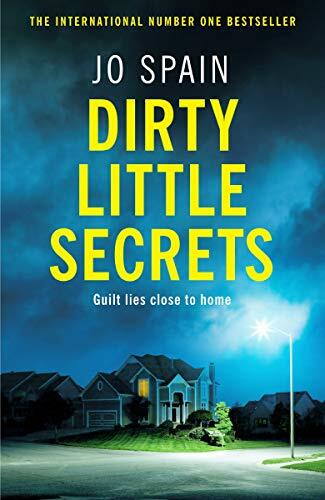 Dirty Little Secrets is out to buy tomorrow! Many thanks to the publisher and Netgalley for providing a free advanced reader’s copy in exchange for my honest review. Guillaume, who gives up everything to protect his child; young Mathew, who stakes his life to save his home; and François, who makes the biggest sacrifice to rescue his grandson. This collection of short stories is an eyeopening and telling experience of human nature where complex topics such as strained relationships, heartache and financial hardships are explored from several points of view. The author narrates each character’s stance with eloquence and the storytelling factor creates an engaging and yet easy to follow plot. As with many short stories, the focus is clearly on the plot rather than character development, however I did not identify this as a shortcoming as each story provided an accurate glimpse into the main characters’ difficulties without weakening their traits. I found that I could relate to certain characters and events more than others. The first two stories, The Move and The Listener, are a celebration of man’s relationship with nature and the need to preserve and protect our environment. Unfortunately I was not able to relate to Guillaume or Matthew and their demands to keep the farming industry and environmental regimes running and felt that the author could have expanded on both stories and explain their backstories in more detail. The last story, The Sacrifice, is built up on the troublesome life that François leads and the sacrifices he makes for his grandson in the hope that he can build a bright future for himself when he is older. It was definitely the most emotional and engaging of the three stories and I was quickly turning the pages in an attempt to find out how it would end. The writing here was articulate and effortless, something that I believe was missing at times in its predecessors. Overall, I was pleasantly surprised by this collection of short stories and thoroughly enjoyed reflecting on the topics discussed. Many thanks to Estelle for providing an advanced reader’s copy in exchange for my honest review.